Spend a day at the lake with these creative solos and duets for elementary and late elementary students. Playful solos include Sunrise Waltz, Sand Castle, Sailing, Canoe Ride, Foggy Night and Lighthouse. Continue the fun with four delightful duets for two students or student/teacher: Skipping Stones, Beach Volleyball, Seagull's Lament, and Drifting Clouds. 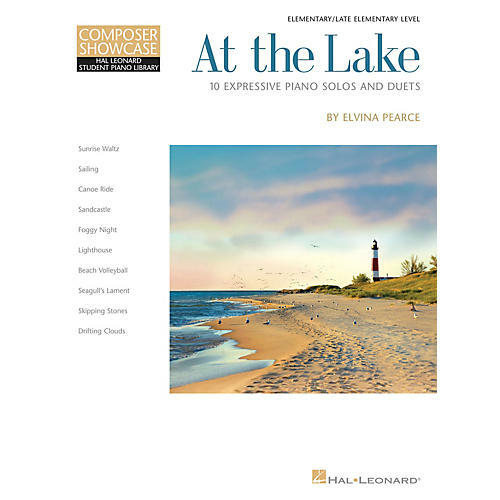 This collection invites you to explore the range of the keyboard, dynamic contrast, articulation and other musical expression. Students, parents and teachers will enjoy the practice and performance notes included for each piece.